The Kenmore Village Block Club started out with a different name and approach—it was originally the Kenmore Neighborhood Watch. The Village of Kenmore Police Department and Chief Carl LaCorte initiated the Neighborhood Watch program in 1982. Initially there was one group in the program then through the years, more groups were organized until the entire village was represented. Those individual groups then joined to become a single entity which was called the Kenmore Neighborhood Watch. 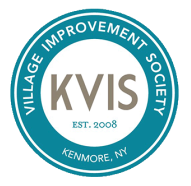 In 2008 the Kenmore Neighborhood Watch joined with the Kenmore Village Improvement Society (KVIS) to became a standing Committee of the Society. In January of 2010, the Neighborhood Watch decided that a new, more social approach to community wellness and safety was needed for the village. This decision to change from a Neighborhood Watch model to a Block Club model was discussed in length and received a unanimous vote of approval. Why Start a Block Club? There are many good reasons to start a Block Club in the Village of Kenmore. Block Clubs help us meet and know our neighbors in more than a ‘wave as we go into our houses’ sort of way. Block Clubs can help us be more mindful and considerate of each other’s needs and others of ours. A Block Club can be a source of care and concern for our older residents and children living in our neighborhood and can help us address any problems or issues facing us on our street while aiding us in reaching those who can offer assistance. Block Clubs can help us to feel more connected to one another and that connection very often leads to a better and more fulfilling sense of community. When you form your Block Club, you are helping to make yourself, your family, and the area around your home safer, more connected, and better in so many ways. Contact us today to find our about the many other ways a Block Club can help you and your neighborhood. Who Starts My Block Club? A Village Block Club may be started by anyone on a block; all that is required is to contact us for the folder of information, register your Club, and begin. Everything needed to assist you in starting your Club is included in the folder - and we’re here to answer questions or offer additional assistance too. You may wish to start your Block Club yourself or with a friend or neighbor, you’ll know what’s best for your situation. We have assigned each Village block with a number, this will help us all in identifying the parameters of your Club. Of course, you won’t want to be known by a number, so one of the first conversations you may choose to have at your Block Club meeting may be about creating a name for your Club. We’ll keep track of the names each block selects so that no other block will have your name. Contact us today to receive the Block Club folder, it will give you the information you need to feel confident in starting a club on your block!